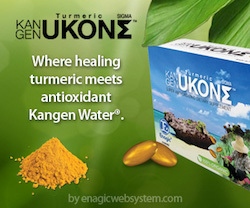 This is another good reason we should be showering with Kangen Water. 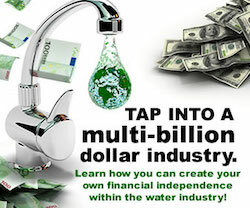 Our health is not about what we inject into our body it is also about what we put on our body and tap water that comes from our city supply in most cases has chlorine infiltrated into the water. We drink it, we flush it, we do our washing in it and in most cases we shower in it. 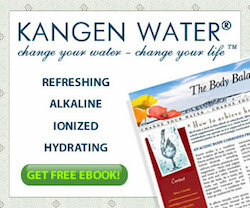 Plus there is a free Ebook- On the advantages of Kangen water. 1. The walkways in Holland, Michigan have 168 miles of tubing underneath them and in the winter they heat up. This causes clearing of the entire cities walkways in a matter of Hours. Saves a lot of shoveling. McGeehan, who was a Fifth Ward councilman at the time, remembers being among those asking lots of questions about how much the system would cost to install, and then to operate. Industrialist Ed Prince, who proposed the plan, stepped up with $250,000 in funding. His investment made the decision easier for city officials. Prince believed snowmelt would make Holland’s main street competitive with the amenities of the then-new mall going up along nearby U.S. 31. 2. There is an HIV plan B pill that you can take if you are ever exposed to someone with HIV. The pill can be obtained from any doctor or ER and will severely reduce your chances of contracting the disease. 3. We apparently get goose bumps because our ancestors were once veered in thick body hair. When tiny muscles in each follicle contracted, the hair would stand on end to insulate their skin or make them look larger when threatened. These muscles may seem useless now that we are not fully covered with hair, but recent discoveries show that they also protect the stem cells our skin needs to heal itself when injured. The bumps may involuntarily develop when a person is cold or experiences strong emotions such as fear, euphoria or sexual arousal. The medical term for the effect is cutis anserina or horripilation. 4. A Report in the JAMA Neurology found that Dementia was 28% higher among people born in Alabama, Alaska, Arkansas, Louisiana, Mississippi, Oklahoma, Tennessee, South Carolina and West Virginia. They found that the place of birth to be a robust risk factor according to Paola Gilsanz the lead author of the study. Your hair won’t get any cleaner from using a palmful of product versus a dime-size amount, and washing every other day is healthier than shampooing daily.